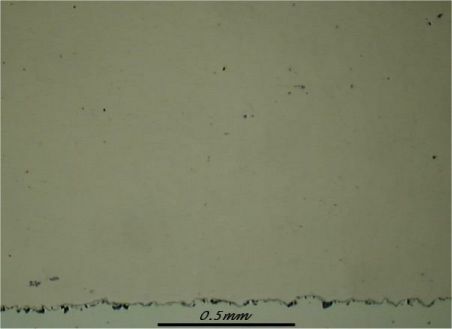 This coating shows a very clean and dense structure with hardness values around 900 HV. 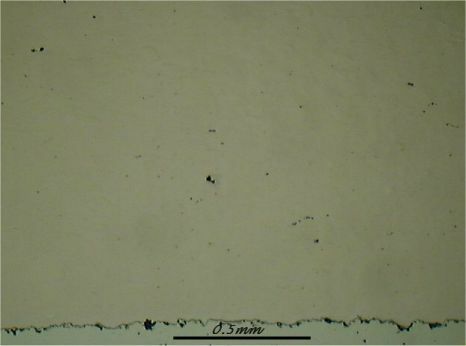 Initially the coating looks better than a typical fused coating, although the adhesive and cohesive strengths will be lower. For applications where the fusing process (temperatures around 1050°C) can not be tolerated. The general corrosion resistance appears to be better than the fused equivalent.